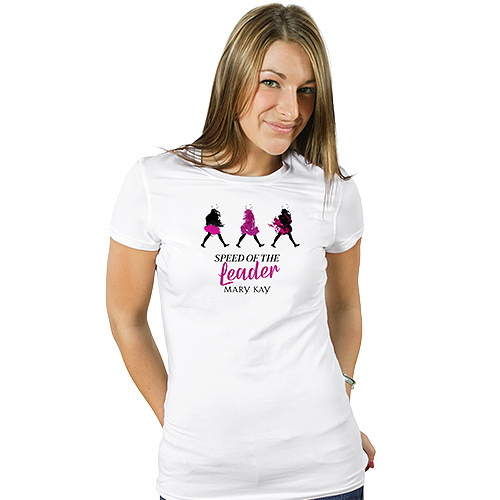 Remind yourself to set your pace at the Speed of the Leader with this inspiring t-shirt. This 95% Cotton, 5% Elastane white fitted T-shirt features Mary Kay's silhouette blazing a path across the front. Available in sizes SM through 3X. In the event we deplete our standard t-shirt stock, we reserve the right to substitute similar stock style to fulfill your order. Substitute stock is 100% cotton. Please note, fit may slightly vary.